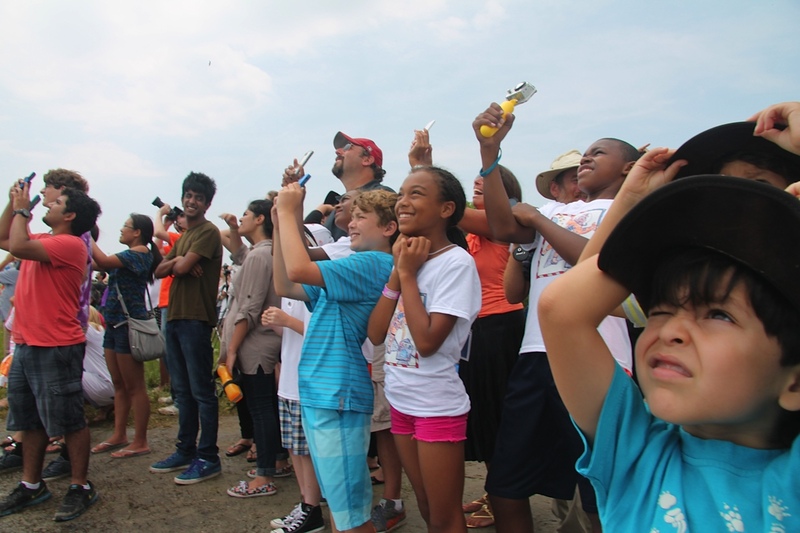 SSEP Delegations watch Orb-2 head skyward as deafening sound rolls across the crowd, 12:52 pm ET, July 13, 2014. 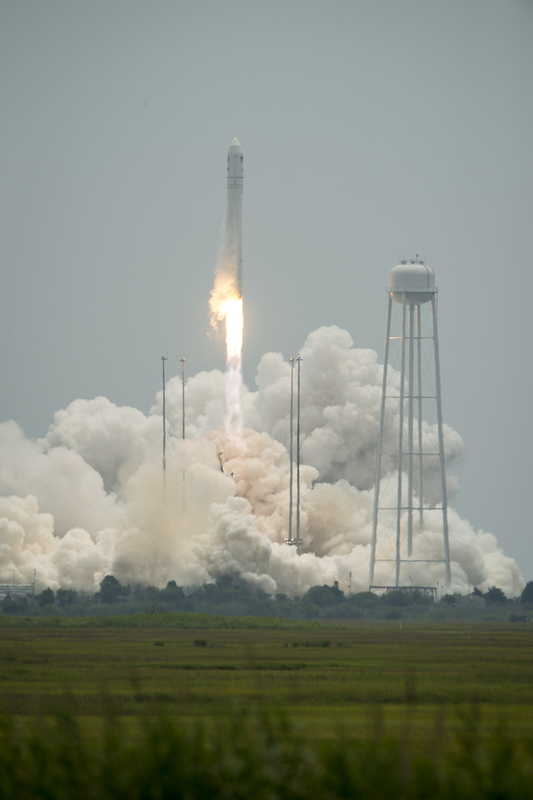 CLICK TO ZOOM Photo-credit: Paul Glenshaw, Glenshaw Creative, Inc.
At 12:52 pm ET, July 13, 2014, the Orb-2 vehicle with the SSEP Mission 5 Charlie Brown payload of experiments blasted off from the Mid-Atlantic Regional Spaceport (MARS), Wallops Island, VA. The Cygnus spacecraft is scheduled to rendezvous with the International Space Station, Wednesday, July 16, 2014, with grappling at 6:39 am ET, followed by berthing to the Station’s Harmony node. You’re invited to get up really early and watch live coverage of the grapple and berthing on NASA TV, starting at 5:15 am ET. Watch live in the NASA TV portal below. Orb-2 lifts off from Pad 0-A, Mid-Atlantic Regional SPaceport, Wallops Island, VA.
Five SSEP student research teams gave a SSEP press conference to media at 8:30 am on launch day. Following the press conference, NASA Administrator Charles Bolden addressed the student researchers, telling them that NASA is inspired by their accomplishments. An overview of the Mission 5 experiments, the research teams, and the downloadable media package, were provided in the July 13, 2014, SSEP National Blog post. We are expecting the Charlie Brown payload to be moved through the hatch onto Station either Wednesday or Thursday. 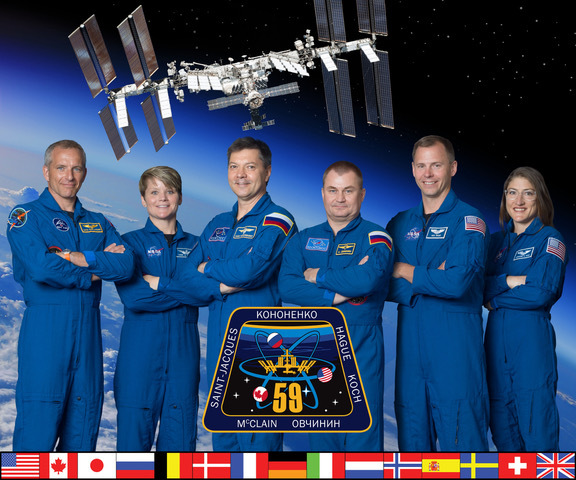 All Mission 5 student flight teams are to stand by for start of flight operations, with concurrent operation of their ground truth experiments based on crew interactions reported via the SSEP Mission 5 to ISS: Experiment Log page. Conducting a concurrent and identical experiment on the ground is critical. Once the flight experiment is returned to Earth, harvesting and comparison of both flight and ground truth experiments allows the role of gravity to be assessed in the physical, chemical, or biological system under study. NanoRacks is standing by to relay details of all crew interactions with the experiments to NCESSE for posting on the SSEP Mission 5 to ISS: Experiment Log. The crew will inform Marshall Space Flight Center as activities occur, that information will then be relayed to Johnson Space Center, and then on to NanoRacks. The Log includes expected interactions for each experiment on the 5 Crew Interaction Days, and will be regularly updated to provide a formal record of when each interaction actually occurred. Flight teams will be notified of log updates. You can follow along with the flight of Charlie Brown by bookmarking the SSEP Mission 5 to ISS: Experiment Log page.